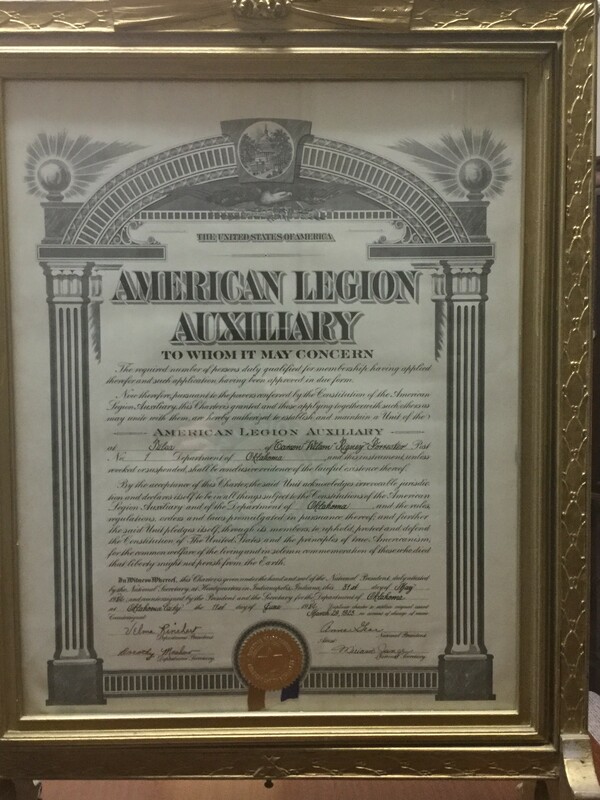 When Post 1 built a new home at what is now 1120 East 8th Street here in Tulsa, the Legionnaires, City of Tulsa and Waite Phillips recognized the importance of the American Legion Auxiliary by setting aside a room in the building for the use of Unit 1. 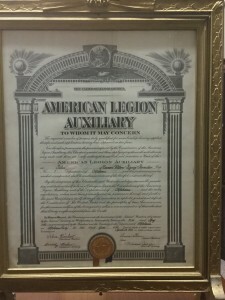 Here is our original 1925 charter (as reissued to replace the old charter) and our 1925 Charter Membership Roll. 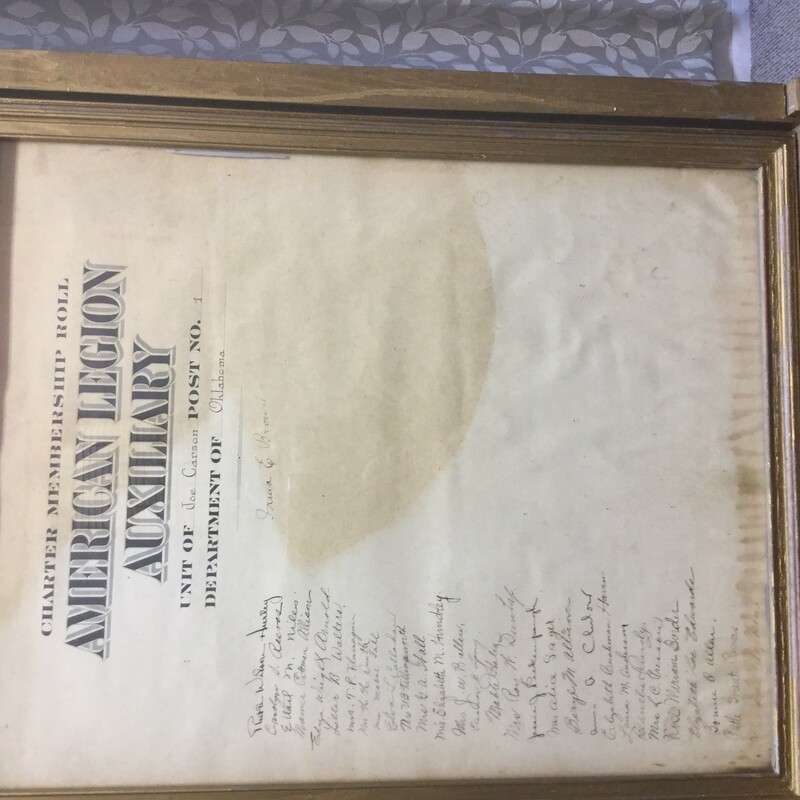 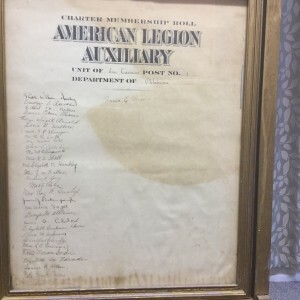 The first name on the Charter Membership Roll is Ruth Wilson Hurley, our first President (and spouse of the 1928 Commander, Patrick J. Hurley). 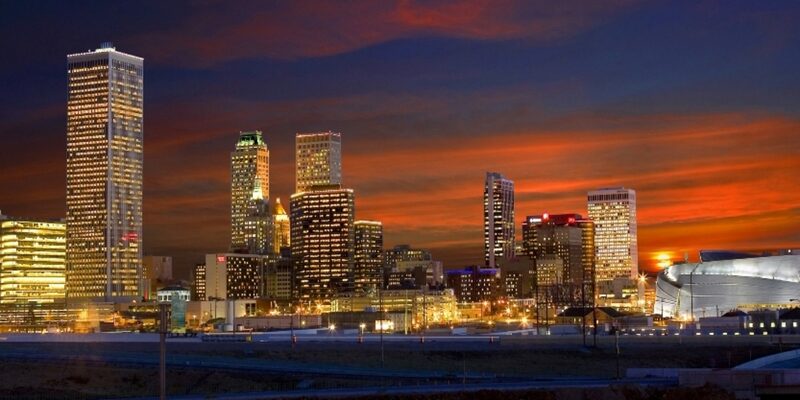 You can click on the image to zoom and examine it more closely.